We've attended a fair few whisky pairing dinners lately - spanning every cuisine from Nordic to Cantonese, to Modern Australian. 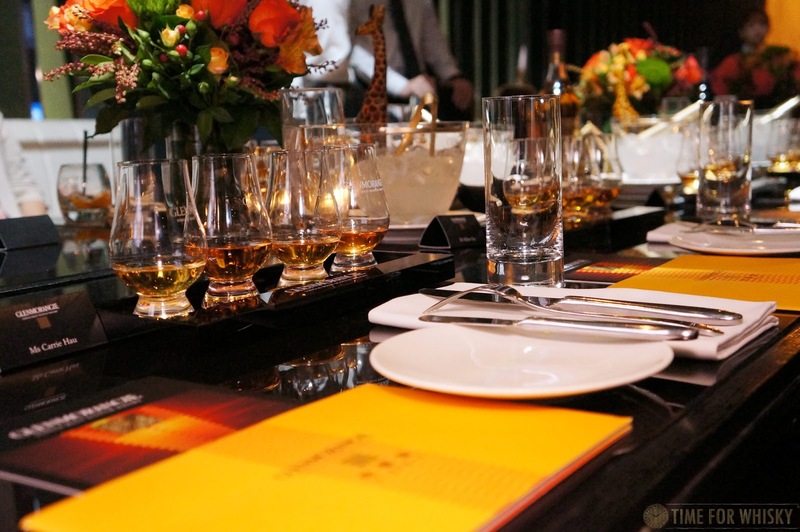 One cuisine we haven't historically seen paired with whisky however is Argentinian, especially Argentinian steak. 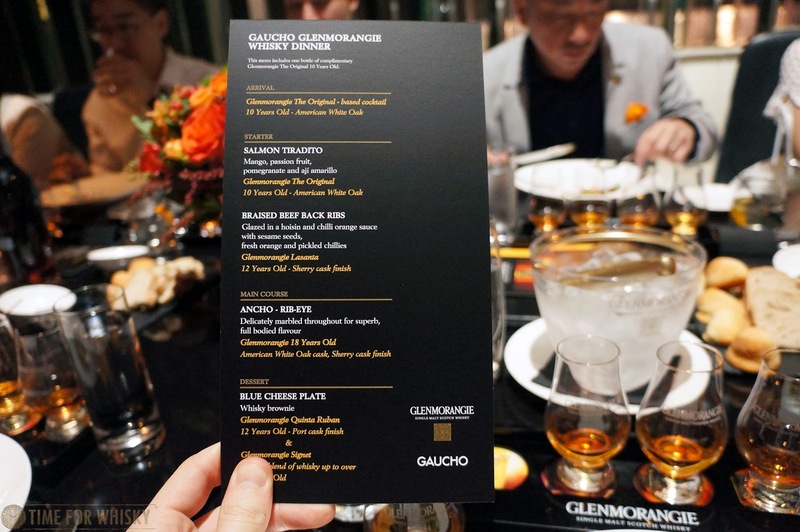 Gaucho Hong Kong are keen to change that, having recently collaborated with Glenmorangie to introduce 4 course whisky and Agentinian pairing dinners. As the experts in Argentinian cuisine (and in my personal opinion, one of the best steak restaurants in HK), it's great to see them branching out into whisky, and challenging the perception that steak should always be paired with red wine. 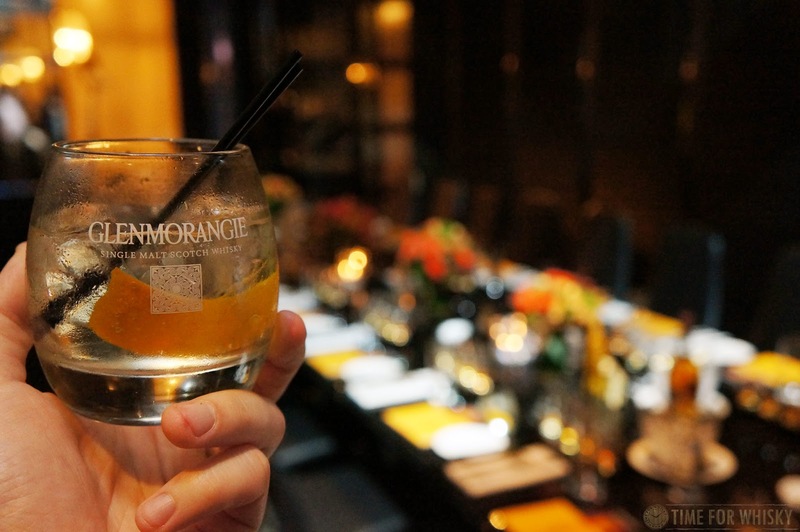 Over a deliciously simple arrival cocktail made from Glenmorangie The Original and lemonade (perfect for the stifling hot evening outside), guests met each other and mingled with our host for the night (and good friend of TimeforWhisky) Eddie Nara. After some chat (and OK, maybe a second of those cocktails...) we took our seats and inspected the menu. Opening with a seafood starter, the menu quickly became meat-focused (as you might expect at an Argentinian steakhouse), with beef back ribs followed by Ancho (rib-eye). 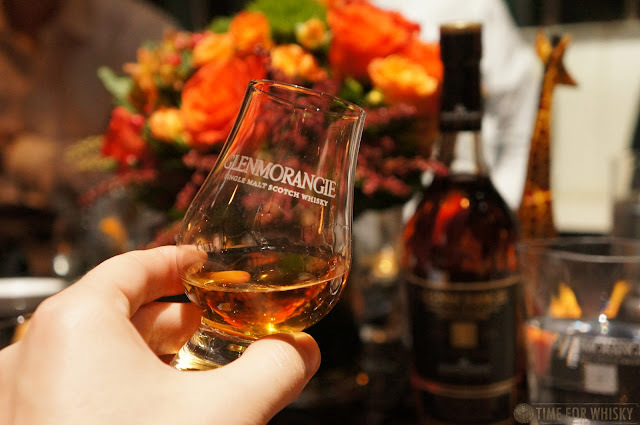 As a whisky man with serious wine credentials (IWSC judge and WSET-certified), Eddie was coming from a position of authority when he told us that sometimes whiskies can actually be easier to pair with food than wine - and explained how Glenmorangie actually made a great whisky for pairing dinners. With the standard expression (The Original 10yo), serving as the baseline, most of the expressions (Lasanta, Quinta Ruban etc..) then build on that baseline through cask finishes which lend themselves to pairing with various dishes. It made a lot of sense, and set the tone for what was to be a delicious and enjoyable pairing dinner. 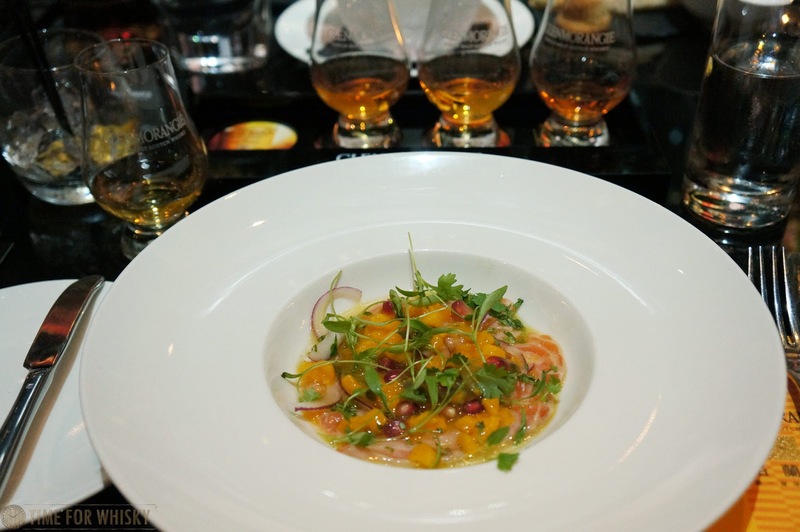 First course, Salmon Tiradito was paired with Glenmorangie The Original 10yo, which made a deliciously fruity match - the passionfruit and mango in the dish especially highlighting the fruitier, almost tropical notes in the 10yo. Our second course, Braised Beef Back Ribs was glazed in a hoisin and chilli orange sauce, with fresh orange and pickled chillies. 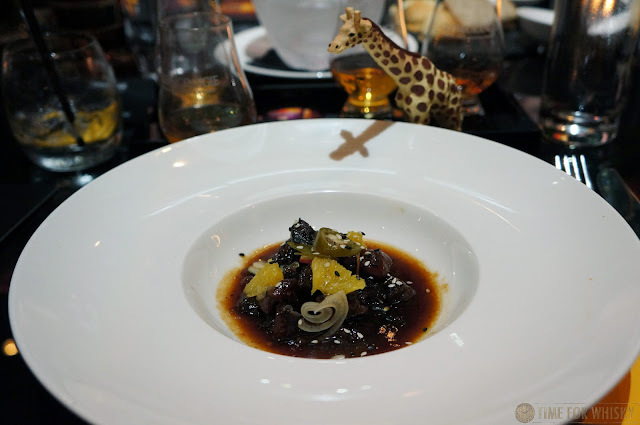 Chilli in dishes can always be a bit hit-and-miss when it comes to pairing with whisky, but this was expertly done, with the dish elevating the citrus notes in the sherry-finished Glenmorangie Lasanta 12yo (or maybe that was the other way around)? Either way, another winning combination. 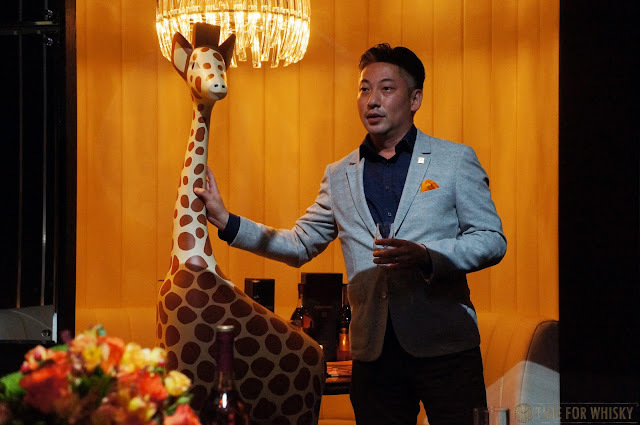 As our third course was being served, Eddie introduced Head Chef Eggi Enkh-Amgalan to talk us through the pairings, and the next dish - Ancho (or "Ribeye" as most would know it). Highlighting the delicate marbling, Eddie Chef Eggi explained the Glenmorangie 18yo Extremely Rare made a logical pairing choice, as both offer delicate flavours unlikely to unbalance the other. Right they were too. 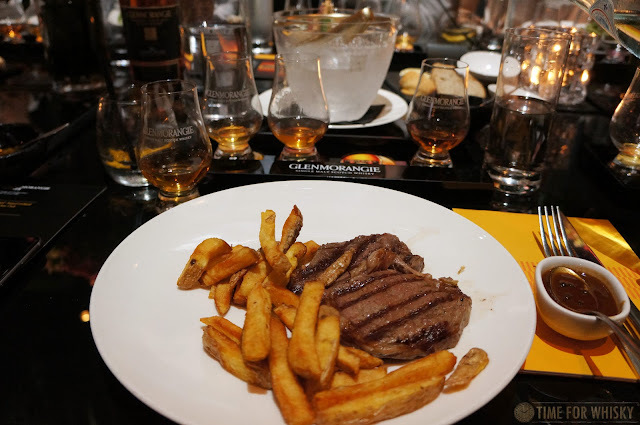 Steak and whisky might seem like a logical combination, but it does take the right whisky to make it really work - and the right whisky in this case was definitely the 18yo. 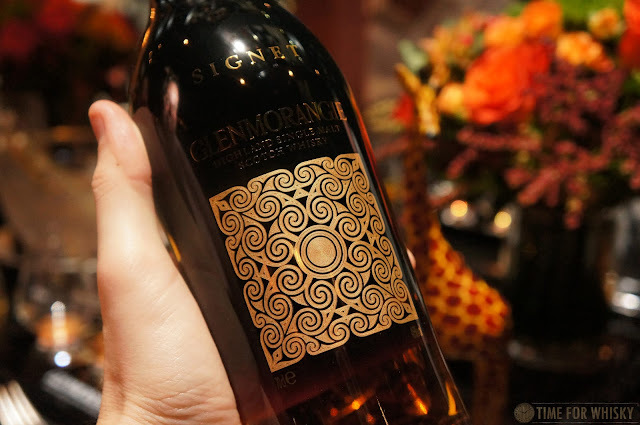 As Glenmorangie dinners often do, the night ended with a dram of the Glenmorangie Signet. Whilst I still find this a delicious dram, I can't help but think the latest batches don't quite have the magic of the bottle I first tried in 2009. Still a beautiful whisky though. 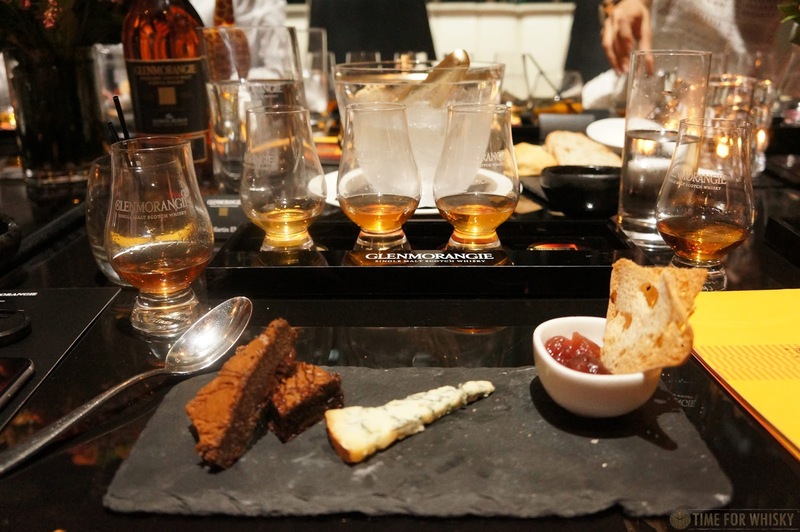 Hong Kongers are becoming more and more interested in whisky, and pairing dinners are a great way to introduce newcomers to the joys of whisky, whilst still offering something for long-standing fans. It's great to see Gaucho introducing their own pairing dinners, and when high quality Argentinian steak is your base, why wouldn't you?! This pairing menu has now finished, but as we understand it will act as a prelude to more whisky pairings and events held at Guacho...to which I say, bring it on! 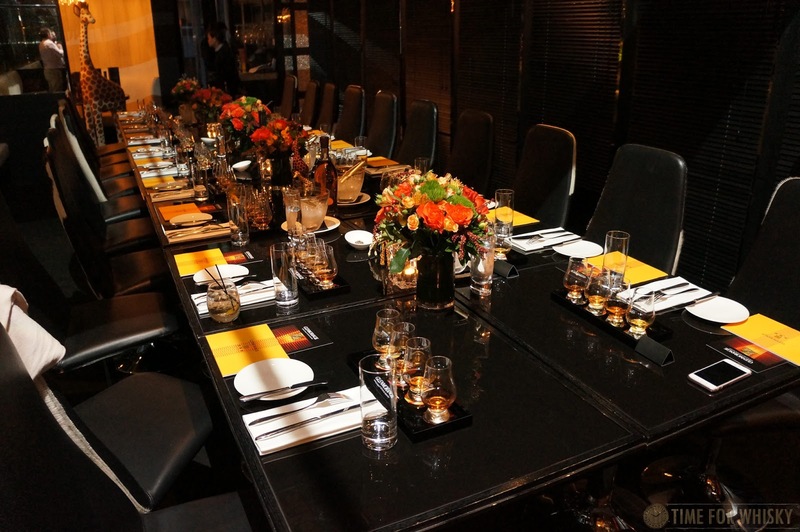 TimeforWhisky.com attended as guests of Gaucho Hong Kong. 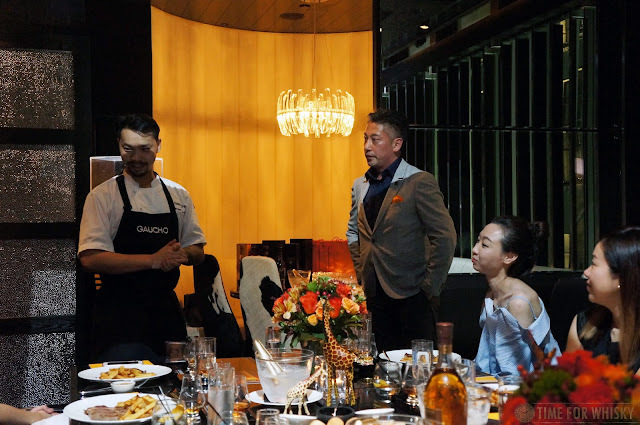 A big thanks must go to Gaucho, Eddie, Chef Eggi and Prime PR.